better understand the needs of older adults, know two frameworks for envisioning and designing technological solutions to these needs, be familiar with numerous examples of interesting examples from both the marketplace and the research lab, and have a richer design imagination for conceiving their own novel solutions. The world is aging rapidly. Globally, the U.N. (2012) projects the world population to grow from 7.2 billion in 2013 to 9.6B in 2050 and 10.9B in 2100. The share of the global population that is over 60 will grow from 12% in 2013 to 21% in 2050 to 28% in 2100. The share of the “oldest old” (i.e., individuals over 80) will grow from 2% in 2013 to 4% in 2500 to 8% in 2100. There will be 830 million people over the age of 80 by 2100! It will be a different world!! These demographic trends and extreme diversity among older adults (contextual, social, cognitive, sensory, motor) afford exciting design opportunities and challenges for HCI. Attendees of this course will better understand what these opportunities and challenges are and how to address them. We shall present two frameworks for envisioning solutions, and illustrate with landmark achievements, promising approaches, and open problems. The first framework is based on the Maslow Hierarchy of Human Needs, a set of five sets of needs organized upwards from biological (the lowest level). Biological or physiological needs include oxygen, food, water, warmth, fitness, and health. Safety needs are to feel safe and to be free from real or perceived danger. Love or social needs encompass the need for affection, and a sense of belonging to family and a circle of friends. Esteem needs include the need to feel satisfied, self-confident, and valuable; to engage in meaningful work and activities; and to continue personal development. Self-actualization refers to the need for a sense of vocation, a calling, or a cause. The second framework is based on solutions that address needs, and includes dimensions such as intended user population, technology goals, design process, and kinds of technology (e.g., mobile phones, tablets, multimedia). In the course we shall mention on the order of two dozen examples and review in some detail roughly half of them - some from our own work and but mainly representing the work of others - to highlight promising technologies at levels and points in these frameworks. We shall conclude with a challenge to the audience - seize and address one of the open problems! Anyone in an HCI field - researchers, faculty, students - interested in developing technology for seniors, a rapidly growing domain with interesting research challenges, great social utility, and significant economic potential. Ron Baecker is Emeritus Professor of Computer Science, Emeritus Bell Chair in Human-Computer Interaction, and founder and director of the Technologies for Aging Gracefully lab (TAGlab) at the University of Toronto. He is also Adjunct Professor in the Faculty of Design at OCAD University, Affiliate Scientist with the Kunin-Lunenfeld Applied Research Unit of Baycrest, and Adjunct Scientist with the Toronto Rehabilitation Institute. He has been named one of the 60 Pioneers of Computer Graphics by ACM SIGGRAPH, has been elected to the CHI Academy by ACM SIGCHI, has been given the Canadian Human Computer Communications Society Achievement Award, has been named an ACM Fellow, and was recently given a Canadian Digital Media Pioneer Award. He is Editor of the Synthesis Lectures on Assistive, Rehabilitative, and Health-preserving Technologies (Morgan & Claypool, Publisher). 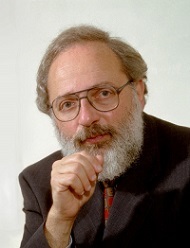 He has also previously done research or taught at Xerox PARC, Apple Computer, and the MIT Media Lab; in Management at UToronto and UBC; and in Cognitive Neuroscience at the Columbia University College of Physicians and Surgeons. His B.Sc., M.Sc., and Ph.D. are from MIT.